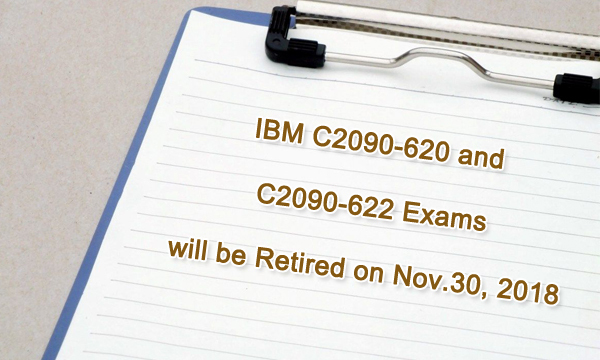 IBM Cognos 10 BI Author C2090-620 and IBM Cognos 10 BI Administrator C2090-622 exams will be retired on Nov.30, 2018. The new replacement tests of C2090-620 and C2090-622 exams are IBM Cognos Analytics Author V11 C2090-621 and IBM Cognos Analytics Administrator V1 C2090-623. Let me show the differences between the exam topics of them below. From the above two tables, you can know that the new exams topics have been changed greatly. We have the latest exam dumps for IBM C2090-620, C2090-621, C2090-622, C2090-623 tests, which can help you save time and energy on preparing these exams. Besides, our IBM Certification C2090-620, C2090-621, C2090-622 and C2090-623 exam dumps can guarantee you success in the first attempt. We promise, if you fail with our exam dumps, you can get full payment fee refund.